Finding Valentine is a mission that unlocks when you visit Diamond City and is one of the longest missions in Fallout 4. Besides a lot of indoors walking, you need to do tons of killing. 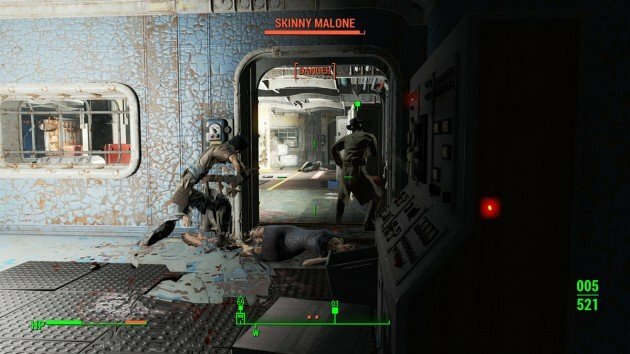 While looking for Shaun, the missing son, players will end up at Valentine’s office at Diamond City but it’s Elle, his secretary that is there. She tells you that Nick Valentine is currently missing and your mission is to find him dead or alive. Before heading to the location set in your map, bring all the ammo you can get because you’re about to kill dozens of triggermen. 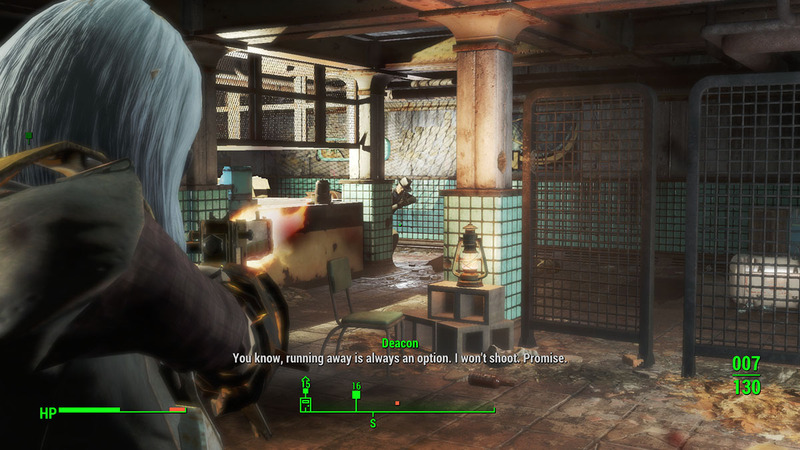 The starting point for finding Valentine is a subway station called Park Street Station, right near Boston Common. Get inside and rush into the room downstairs to surprise the few triggermen patrolling the entrance. Clear the first level as quick as possible. The longer you take to engage, the longer they’ll have to notice you and take cover. It just takes longer to kill them if you hesitate here. Afterwards, head downstairs. 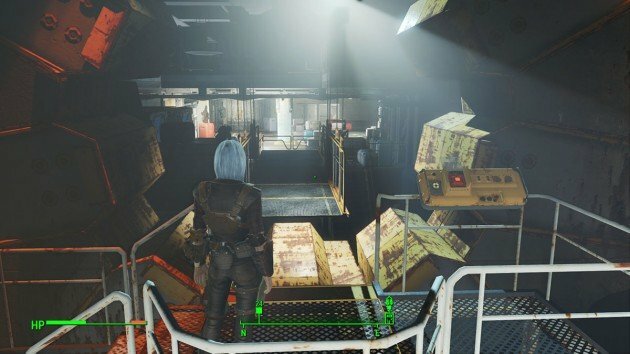 Enable stealth mode with CTRL and slowly go down the stairs into the station. 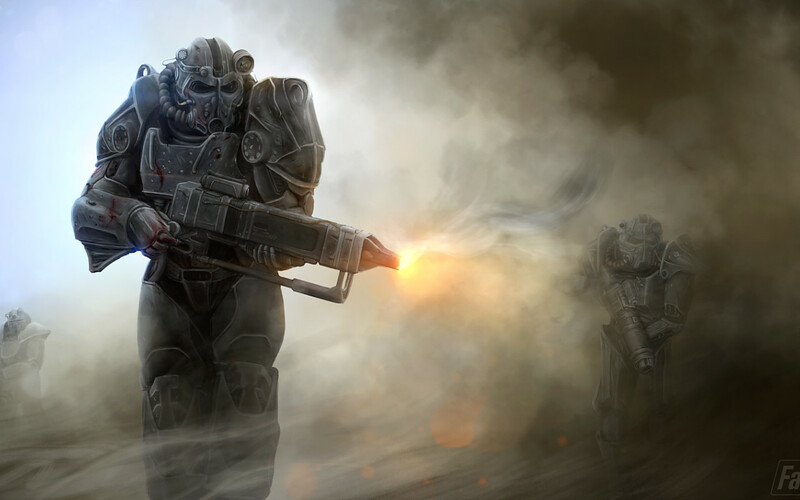 Recon the area to see where the enemies are positioned. There are around half a dozen of them here all scattered around. Engage as you will and wait until they all come to you while using the stair wall as cover. Keep going forward into the rail tunnels, you’ll soon see platforms and a giant metallic wall. Don’t get too excited. First, you need to kill the few triggermen there. 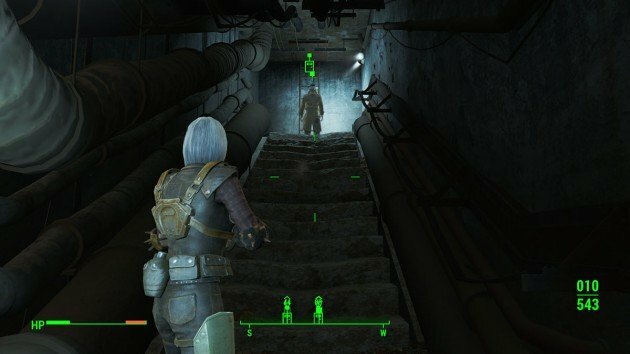 Then, keep going forward into the vault’s entrance. Click on the panel near the door to unlock the vault. The door will automatically open and you’re ready to go. Clear that level from the remaining triggermen. Also, there is some medical supplies on the right room, pick them up if you don’t have many left. Head downstairs again. 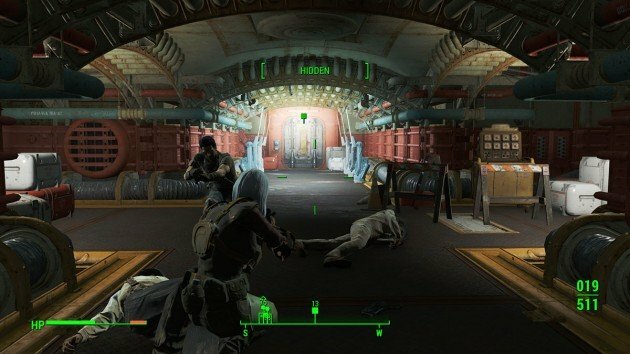 You’ll see a long corridor and a few enemies. Just kill them and proceed. The next door will unlock a tight fight, so ready yourself with a strong weapon and boosts. Projectiles won’t do much here, as there are too many platforms around, thus hard to land them. Using them can be a waste. Use the CTRL stealth mode to recon enemies first. 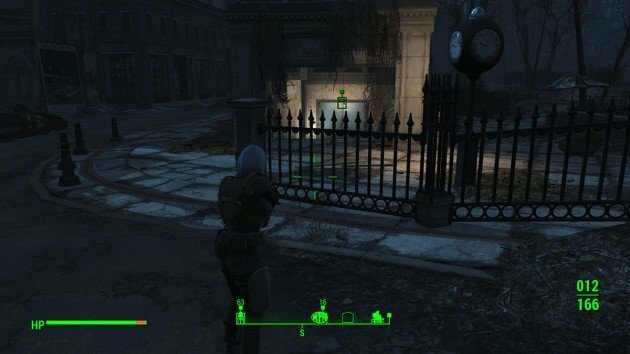 Then engage, take the nearby metal barriers as a semi-cover since there’s nothing else to take shelter. 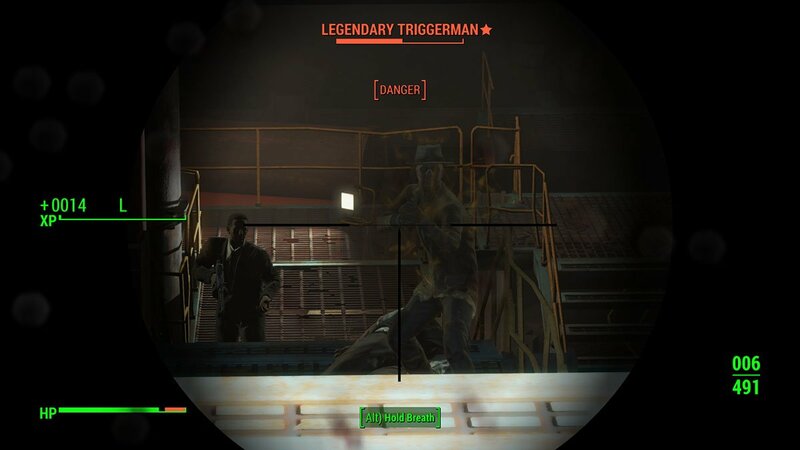 Try to kill the trash enemies first and then aim for the Legendary Triggerman. Just accurately shoot them and move around to do not get hit as much. Don’t let them get too close, they hurt quite a bit at melee range. Follow the platform way until you find a door. Go through and keep the cleaning job. 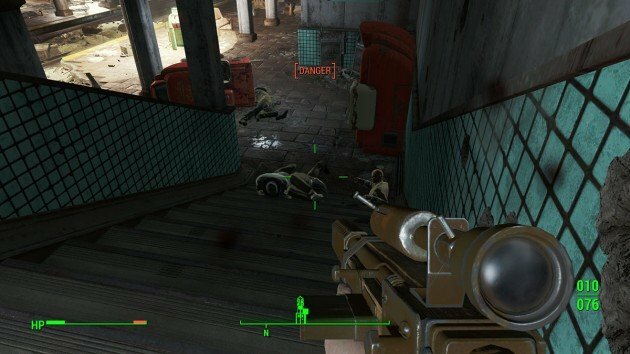 Kill everything that moves until you find a floor opening. Jump in and proceed. 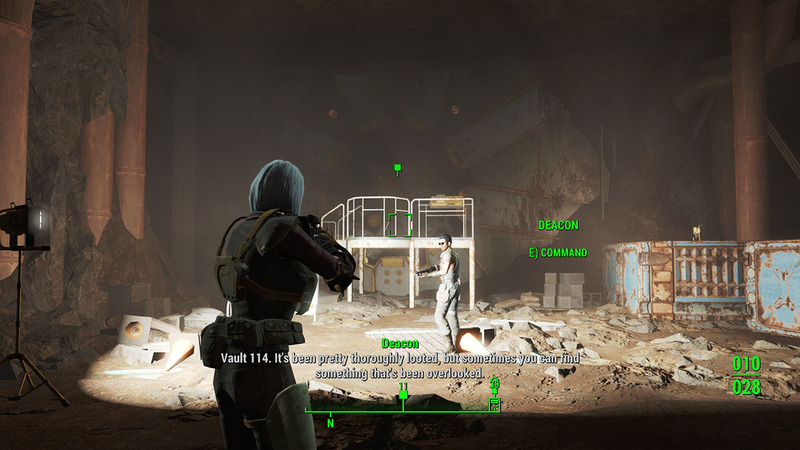 You’ll soon see a door named Vault 114. Open it to get inside. Once inside, you need to go tot he left side and upstairs. 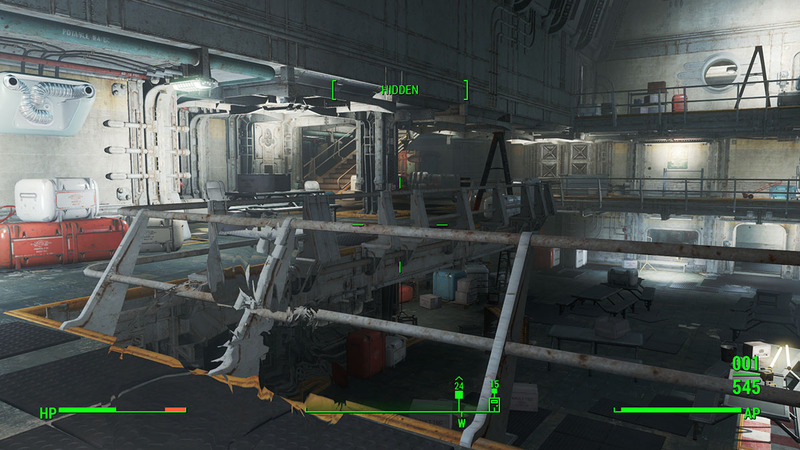 If you want to explore and scavenge then head downstairs, there’s plenty of junk to pick there. Kill the few triggermen around and proceed to the top. 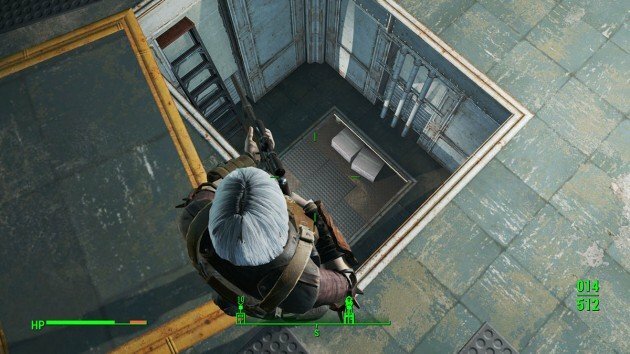 After going up, you’ll see a locked door. 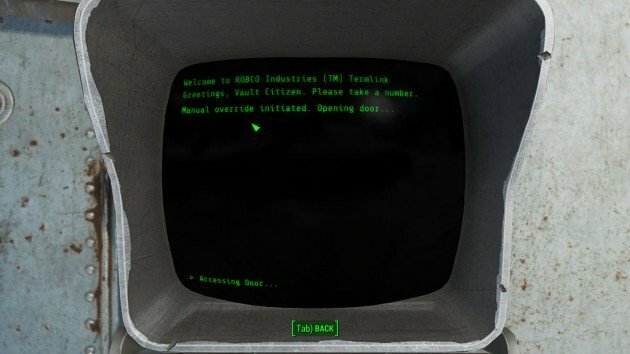 Use the terminal to hack and override the password. 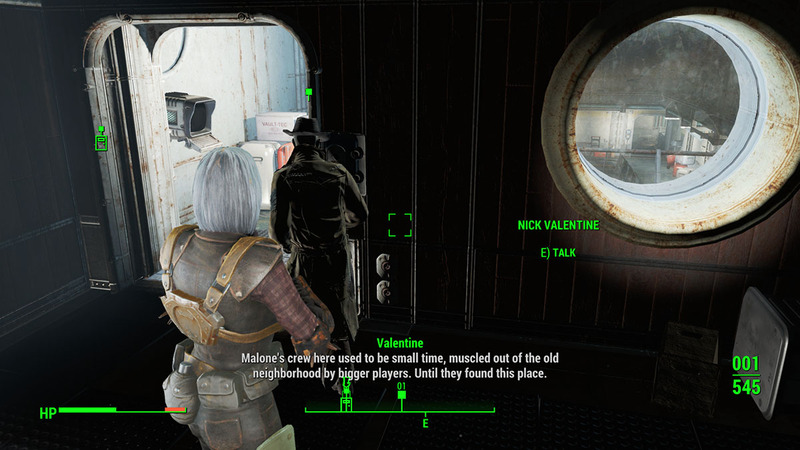 Get inside and talk to Nick Valentine. You might want to pick the little toy on the desk there too, it’s a perk for trading. Nick Valentine will lead the way out of the vault, so just follow him carefully. He is quite fearless and he doesn’t care much for enemies. If you follow him tidily you might get yourself killed. Let him go ahead first. Better safe than sorry, right? 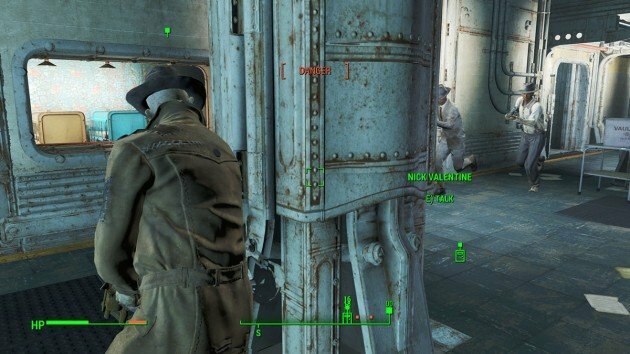 There will be several enemy encounters while following Valentine. Just stand back and defend him as much as possible. Don’t worry he won’t die, he might get injured but he’ll come back on his feet and lead the way all the same. Finally, when you’re almost done. The big bad boys will show up. 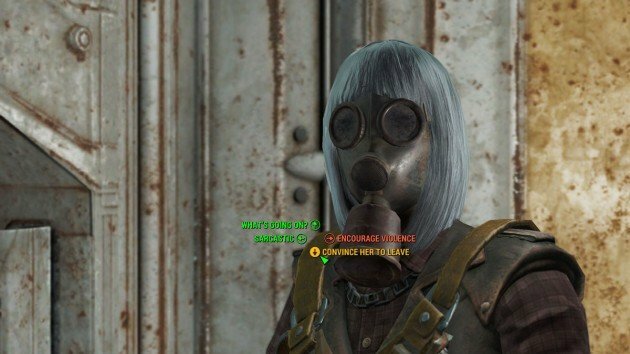 There are two ways to solve the conflict, you either have enough charisma points to convince Darla to go back home by choosing the Convince Her to Leave, during the first part of the dialogue. Or things will most likely end up badly for them! If you can’t convince them to let you go peacefully, you’ll have to kill them all. So, head to your left and take shelter there. Darla will come to you with her melee club, just kill her she’s really weak. As for the rest, only Skinny Malone is a bit stronger, no trick here just aim and shoot. Keep following Nick Valentine until you find a ladder to get outside. Then talk to him about how you got there and what are you looking for. He’ll invite you to talk more at his office and the mission is finally complete. Read the next exclusive mission guide here at VgamerZ: Fallout 4 Mission Guide: Butcher’s Bill.